Lawn Mower repair and maintenance is crucial to ensuring you get the mileage out of your mower that you require. Lawn mowers have a number of product features and moving parts that require periodic preventive maintenance, doing so will keep your mower performing at its peak. Gas powered engines are especially vulnerable if not started during the winter months. Blades, drive belts, and cables all need attention after repeated usage from the previous season. So, at the beginning of each spring season bring your lawn mower in to the experts at AltaQuip for routine maintenance. 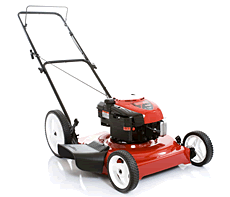 Some of the top lawn mower brands we service include: Honda, Husqvarna, Toro, Troy-Bilt and many more. Call us today to ask how we can help you maintain the integrity and performance of your lawn mower.